Find out how our car accident lawyers can help you with your claim. 2011 Wisconsin Act 14 repeals many of the auto insurance laws established by the 2009-11 biennial state budget (2009 Wisconsin Act 28). 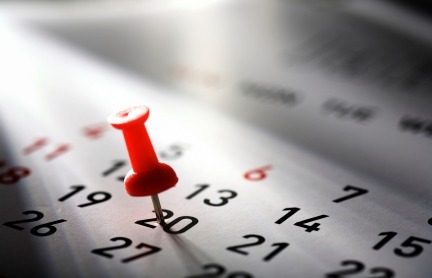 Act 14 takes effect Nov. 1, 2011, and applies to policies that are new or renewed after the effective date. Current law: Drivers must have liability coverage of $50,000 per person, $100,000 for more than one person, and $15,000 for property damage. New Law: Drivers must have liability coverage of $25,000 per person, $50,000 for more than one person, and $10,000 for property damage. Current law: Drivers must have underinsured coverage of $100,000 per person, and $300,000 per accident for more than one person. New Law: Drivers are not required to carry underinsured motorist coverage. If they do have underinsured motorist coverage, the coverage minimums are $50,000 per person, and $100,000 per accident. Current law: Drivers must have uninsured coverage of $100,000 per person, and $300,000 per accident, and $10,000 for medical payments. New Law: Drivers must have uninsured motorist coverage of at least $25,000 per person and $50,000 per accident. Coverage for medical payments is optional but must cover at least $1,000. The new law still mandates insurance coverage for Wisconsin drivers, but mandated coverage limits will be cut in half. For instance, current law requires drivers to carry liability limits of $50,000 per person and $100,000 per accident. The new law requires a driver’s policy to cover at least $25,000 per person and $50,000 per accident. Current law requires policies to include underinsured motorist coverage. Underinsured coverage applies in a situation where the negligent motorists’ policy is inadequate to cover all of the damages. In such a case, the injured person can file a claim on his own insurance policy for underinsured motorist coverage. Current law requires a coverage limit of $100,000 per person and $300,000 per accident. Under the new law, drivers are not required to carry underinsured motorist coverage. Insurers must offer it, but a driver can reject it. If a driver accepts coverage, the minimum coverage amount is reduced to $50,000 per person and $100,000 per accident. Under current law, drivers must carry uninsured motorist coverage for situations in which an insured motor vehicle is involved in an accident with a person who does not have auto insurance, or if a vehicle or person is damaged from a hit-and-run. The current level of coverage required is $100,000 per person, $300,000 per accident, and $10,000 for medical payments. The new law still mandates uninsured motorist coverage, but at lower minimum limits of $25,000 per person, $50,000 per accident, and $1,000 for medical payments (optional). *Depending upon the case, your claim may not be limited to your own uninsured motorist coverage. If you have been injured by an uninsured driver, contact our auto accident lawyers in Wausau so that we can evaluate your case for other sources of compensation. In addition, the new law won’t allow insureds to “stack” policies on multiple vehicles for increased coverage in the event that limits on one policy are insufficient to cover damages. Under the current law, if a Wisconsin consumer purchases two policies for two owned vehicles, or insures two vehicles on one policy that assigns separate premiums for each vehicle, and that consumer is injured by an uninsured motorist, the current law in Wisconsin allows policyholders to rely on the sum of all of their policies to pay their claims. The new law limits the injured person’s maximum recovery to the uninsured motorist limits of just one of the policies (or one of the cars if both are insured on the same policy). If you or a loved one has been injured in a car accident, contact our auto accident lawyers in Wausau for a free consultation. Call 715.843.6700 to speak with auto accident lawyers in Wausau. Email auto accident lawyers in Wausau. Do you have questions for auto accident lawyers in Wausau? If you or a family member have been injured in a car accident, or if you have lost a loved one as the result of a car accident, our auto accident lawyers in Wausau can advise you as to your rights. Auto accident lawyers in Wausau serving clients throughout Wisconsin. Call 715.843.6700 for more information about auto accident lawyers in Wausau or to speak with auto accident lawyers in Wausau. Learn more about personal injury attorneys in general.